Print media is becoming quickly outdated. No longer are people buying books, but they are buying PDF’s and other forms of digital media to read on their phones, tablets, or Kindles. 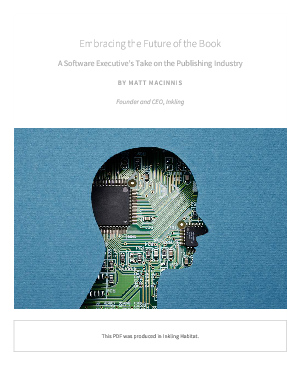 This drastic change in the publishing environment has left some publishers reeling and others who have seamlessly integrated with the changes. Download this whitepaper to learn the 3 lessons publishers should be taking away from software developers and see how your organization can keep pace in this highly digital world.